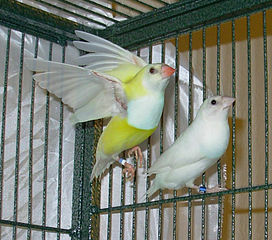 Please see Part I of this article for basic information on our new line of Outdoor Aviaries. The influence of natural light, weather cycles and the additional space provided by an Outdoor Aviary often promotes breeding in birds whose reproductive urges have lain dormant for years. Outdoor aviaries can also serve as exercise areas for birds otherwise confined to cages, and may allow you to keep species which, while they “get by” in typical cages, really do best with more room, at least for part of the year. 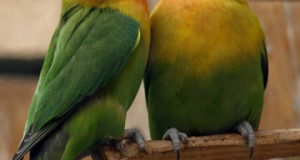 Birds which fall into this category include mynahs, larger parrots, toucans, most doves, red-crested cardinals and turacos. Your pets’ interest in what is going on around them will increase markedly as well – this is good for their well-being, especially as concerns parrots and other highly intelligent birds. Other species, some of which I will highlight in future articles, are nearly impossible to keep unless an outdoor aviary is available. Included among these are the golden and other pheasants, most quail, fruit doves, ducks and fancy (or “plain”!) chickens. If, like I, you are a licensed wild bird rehabilitator, an outdoor aviary will greatly expand the list of species with which you might become involved (I tried caring for owls, small herons and gulls indoors…trust me, it’s difficult!). Along with the fun, there are some special considerations involved in keeping birds outdoors…please write in for details concerning the species in which you are interested. Outdoor aviaries are indispensible to those who rehabilitate injured native birds, and, where legal, for keeping native birds. Please see my article Rehabilitating Native Birds for further details. help. i respected and i am raising a wild mourning dove. Experience: i have aided in absent parens, or one. A fallen bird or 2 in extreme heat of Florida. They alway were a little stronger when they walked off together before they took flight and gone. Now i have Elkie. 3 MONTHS. I Keep getting bigger cages. Now I am thinking a screened avery at front doors and or back yard. Or both. Like they do with pools here. It would be nice to have a part that invited others to come in seperately in another entrance. to protect them all from predtitors. So many now because of building remolding and clearing out of beautiful landscape that was home to so many. Creating also more heat in my home…..The Sun hitting front door windows of my home reflecting a giant tree in my glass entrance… A bird flies in and dies every day now. or close t it. i lowered hurricane shutters to help with reflected illusion. That helps for now. my Morning Dove. She gets daily freedom in 1 room and loves to land on Winnie the pooh. It is not enough. I had no plans of keeping her as a pet or releasing her.